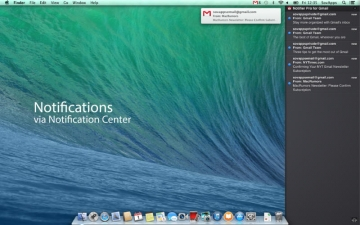 [値下げ] Notifier Pro for Gmail | Mac App Storeのアプリ検索・ランキング BuzzMac! 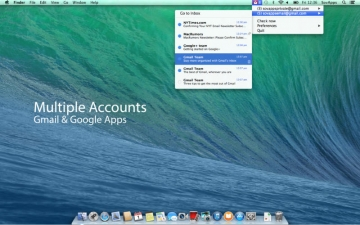 Check and access your gmail accounts from the menu bar. - open your inbox and emails in your default browser. Also be sure that the IMAP access is activated in your gmail settings. You may also have to setup the gmail double authentification. 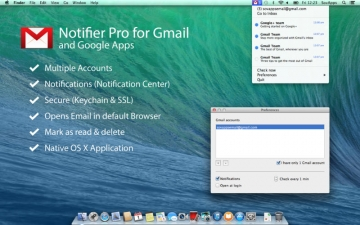 Note: Gmail Notifier Pro is a 3rd party application for Gmail.